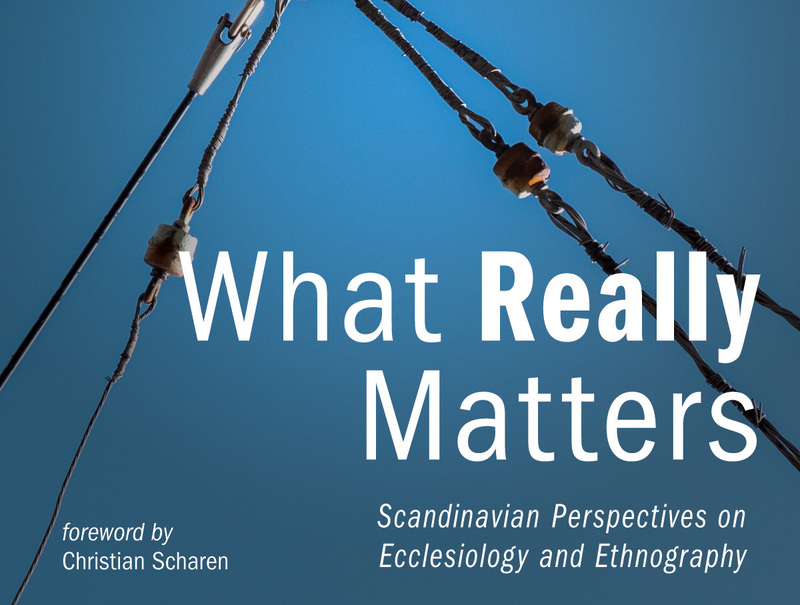 A new volume called What Really Matters: Scandinavian Perspectives on Ecclesiology and Ethnography, edited by Jonas Ideström and Tone Stangeland Kaufman and with a foreword by Christian Scharen, is published last summer. This volume is about ecclesiology and ethnography and what really matters in such academic work. How does material from field studies matter in a theological conversation? How does theology, in various forms, matter in analysis and interpretation of field work material? How does method matter? The authors draw on their research experiences and engage in conversations concerning reflexivity, normativity, and representation in qualitative theological work. The role and responsibility of the researcher is addressed from various perspectives in the first part of the book. In the next section the authors discuss ways in which empirical studies are able to disrupt the implicit and explicit normativity of ecclesial traditions, and also how theological traditions and perspectives can inform the interpretation of empirical data. The final part of the book focuses on the process of creating “the stuff” that represents the ecclesial context under study. What Really Matters is written to serve students and researchers in the field of ecclesiology and ethnography, systematic and practical theology, and especially those who work empirically or ethnographically—broadly speaking. The book might be particularly helpful to those who deal with questions of methodology in these academic disciplines. This volume offers perspectives that grow out of the Scandinavian context, yet it seeks to participate in and contribute to a scholarly conversation that goes beyond this particular location. Jonas Ideström is Associate Professor of Ecclesiology at Uppsala University and researcher at the Church of Sweden Research Department. He is the editor of For the Sake of the World (2009) and co-editor of Ecclesiology in the Trenches (2015). Tone Stangeland Kaufman is Associate Professor of Practical Theology at MF Norwegian School of Theology, Oslo. She is the author of A New Old Spirituality? (2017). Durham Conference September 2018 - what did you miss?